The change of season always brings a shift in focus. After months of darkness, early mornings, and exceptionally cold belays there is a definite sense of relief when the spring arrives. 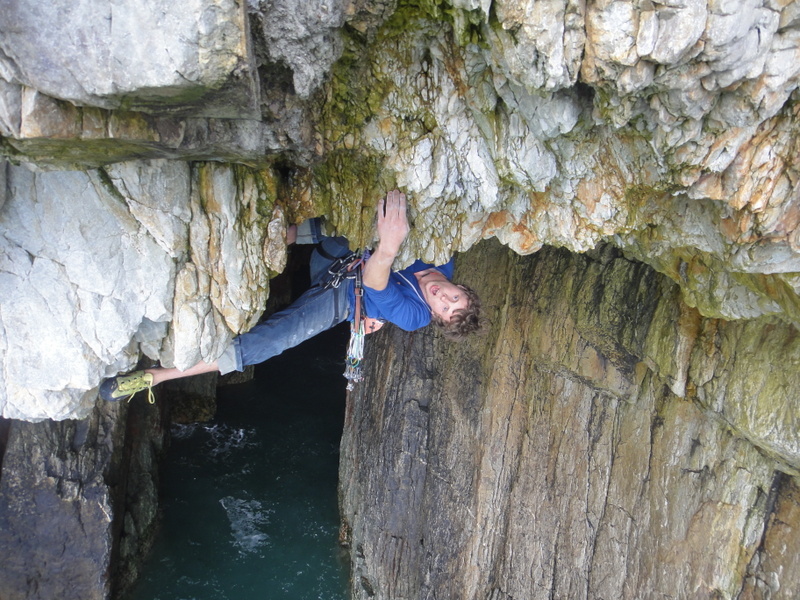 This is one of the things that has kept climbing interesting me over the years, just as soon as your becoming increasingly tired with one aspect of the sport another pops its head around the corner – and throughout April/May this head is Gogarth. However, still being in winter mode I had to take time to adapt: my pulpy fingers were still soft from months of glove wearing. Fortunately this was easily remedied by climbing (aka. the fun part). It is amazing how quickly the body adapts, every year I get paranoid that I will have forgotten how to rock climb and that I haven’t put in enough effort at the wall and my whole year is going to be a big let down AND PANIIIIIIIC!!!! 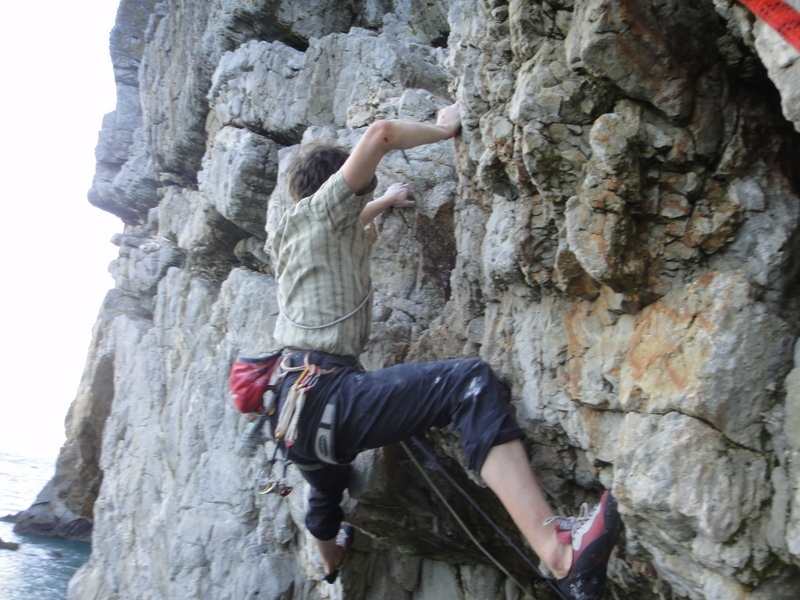 Assuming a good level of fitness has been maintained the most challenging aspect of getting back onto rock is familiarising myself with how to stay relaxed – something part mental, part physical. Muscles + fingers adapt assuming you’re putting the hours in, but for me staying calm on a route is one of the major factors as to whether or not I succeed. Most of the hardest trad routes I have climbed haven’t been done whilst I’ve been bouldering or sport climbing at my best, I’ve just been comfortable whilst performing moves on sight with a bit of doubt in the back of my mind. Aside from getting out climbing I decided to begin a campaign to de-fluff a few routes on the Upper Tier. 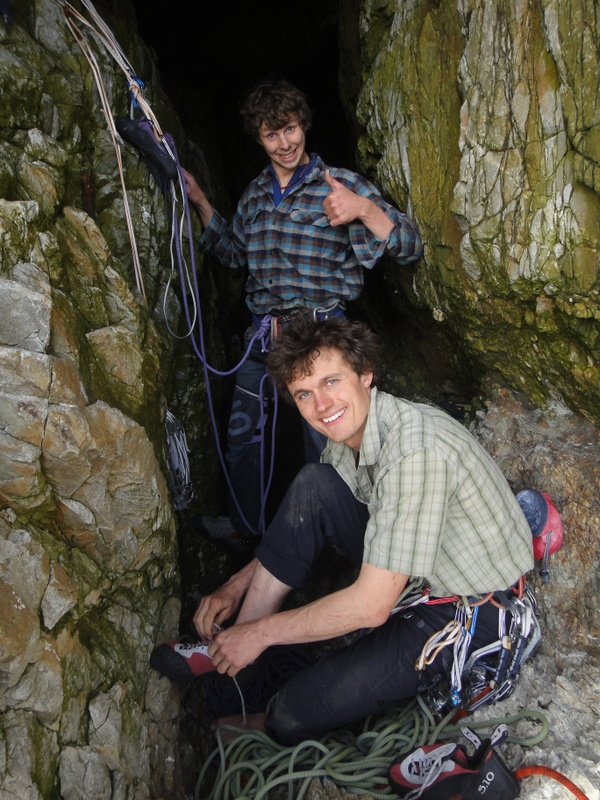 It is good to give Gogarth some love, it’s one of my favourite crags and it’s nice to give it some care and attention. I have always hoped that these actions are something that will earn me extra brownie points the next time I am pumped senseless (divine intervention: a jug here, bomber wire there – you know…). Anyhow, the following routes are now clean and ready to go – enjoy! Fifteen Men and a Dead Man’s Chest (E5 6a), The Horrorshow (E5 6b), The Emtionary (E5 6a). 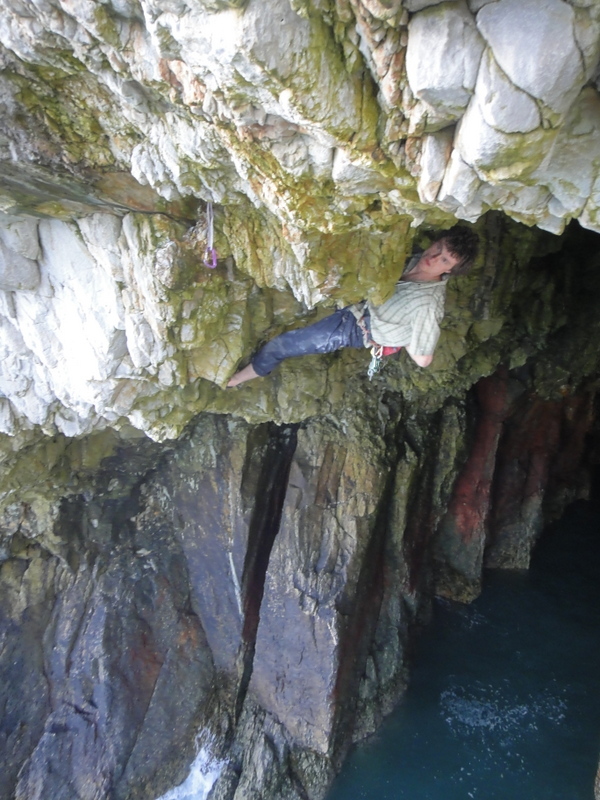 The elbows of glory – Rob onceagain pumped out of his mind at Gogarth. Keep it fresh, stay relaxed, and if you think it’s getting boring (or two relaxing) try getting onto something completely ungradable – at the very least it’ll bring a smile to your face! Great blog Rob, pictures inspire and make my palms sweaty! How was your long weekend up in the Lakes? You get some good sends in? I’ll see you when your next in Needlesports. The long weekend was superb, even better due to the good weather and lack of work I was required to do. Thanks for the info regarding conditions, greatly appreciated as we would have frozen to death on Scafell. We ended up visiting a few crags I’d never been to before, namely Goat Crag where we did Bitter Oasis + Mirage and Pavey Ark where we did Fallen Angel, Cruel Sister, and Cascade Direct. 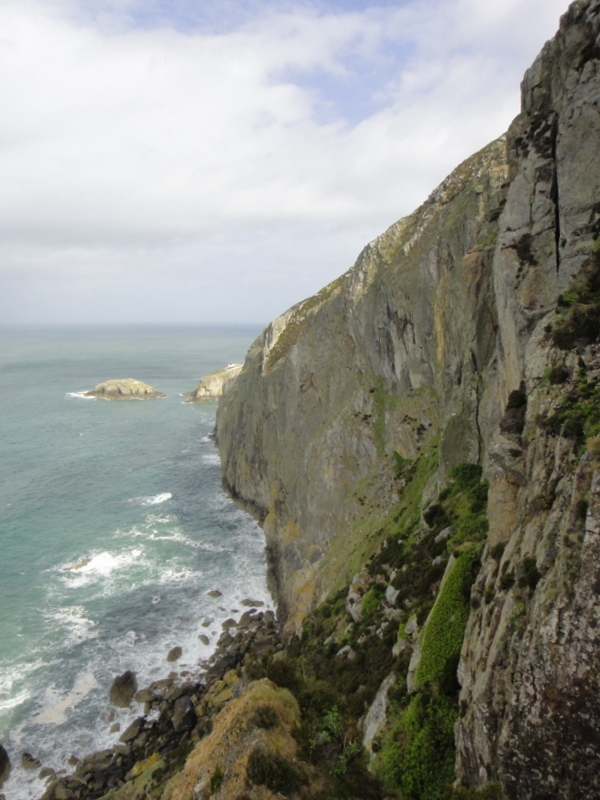 We also shuffled up to The Napes for an outing on Vikings (outrageous) and Supernatural (even more outrageous). Loving the blog Rob. I’m taking your “keep it fresh” comments to mean I should sometimes change my focus from bouldering in Laggan to occasionally bouldering in Torridon? Oh, I do make myself laugh! When you next in Scotland? It’s been ridiculously dry (up until this weekend)! I’ve even managed to do some of this mysterious TRAD (I think that’s how you say it). Ps. Is Murdo house trained yet?